Owners of home based businesses that are trying to make a living working from home know the problems encountered trying to get your website noticed in order to increase traffic and ultimately revenues. After all, if people don't know about your site, how will they find it among the millions of other sites. Blindly paying a lot of money for advertising, or if you don’t have an advertising budget, not advertising at all, can both be detrimental to your business success. Getting your site noticed online doesn't have to be as difficult as many making it. For instance, there are many ways to market your products and services inexpensively if not completely free, so spending a lot of money on it could be wasteful. If you have no money to spend, you should be diligent about searching out all the options for free advertising. If you don't, you're asking your business to fail. When it comes to advertising, there are many options online and offline that will help you spread the word about your Website and help you drive traffic to it and in turn increasing and revenues. First, check out offline venues for free advertisement like local newspapers, television stations, radio stations and the like. Often times these mediums are looking for new local businesses to highlight in their business sections and/or discussions. This is free advertisement and something you should take advantage of immediately. Also, make sure your URL is on every piece of printed material you use in regard to your business whether it is stationary or free gifts. Having your URL out there will help brand your website and people will be more likely to check out what you have to offer. Additionally, while you are making your URL well known, make sure your website appears professional and is easy for your visitors to use. If you accept payment online, make sure that the checkout process is easy and convenient as well as secure. Using payment systems like PayPal might be a good idea for you as well because it allows a variety of payment methods in many different currencies. Advertising online also doesn't have to be expensive. Some free options are trading links with other relevant websites, submitting articles to online article directories and ezines with a resource box with your information, and joining relevant forums and posting helpful information with a link to your website in your signature. Certainly, you can do banners and other advertising, but if you don’t have much of a budget try all of the free options before you start paying money you don't have. As your business grows, your advertising budget will grow as well and you can invest in paid advertising options. 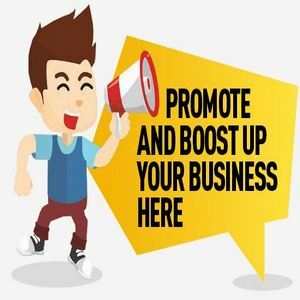 Be creative and proactive in finding inexpensive and/or free advertising, your business will grow, your revenues will grow and you will not be spending much at all on advertising. Remember, the more people that are aware of your website the more traffic, referrals and ultimately purchases you'll get. Make sure your website's URL is visible to as many people as possible in as many places as possible.